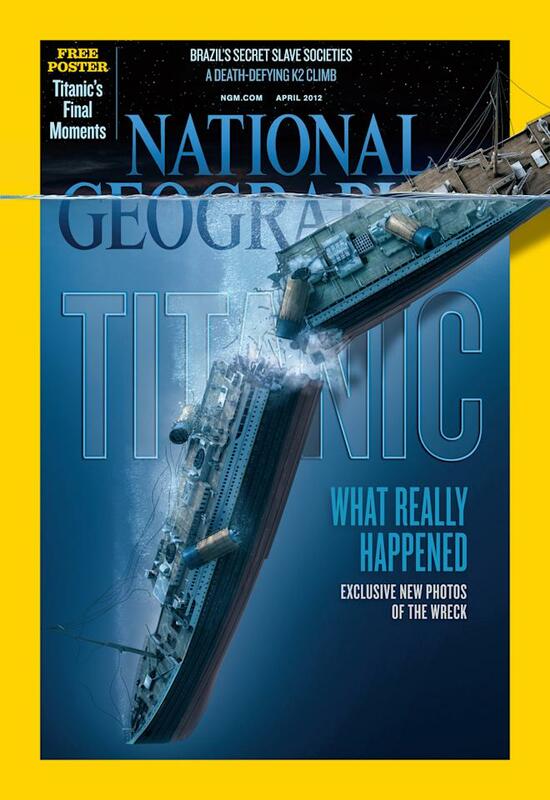 National Geographic Magazine's April issue. 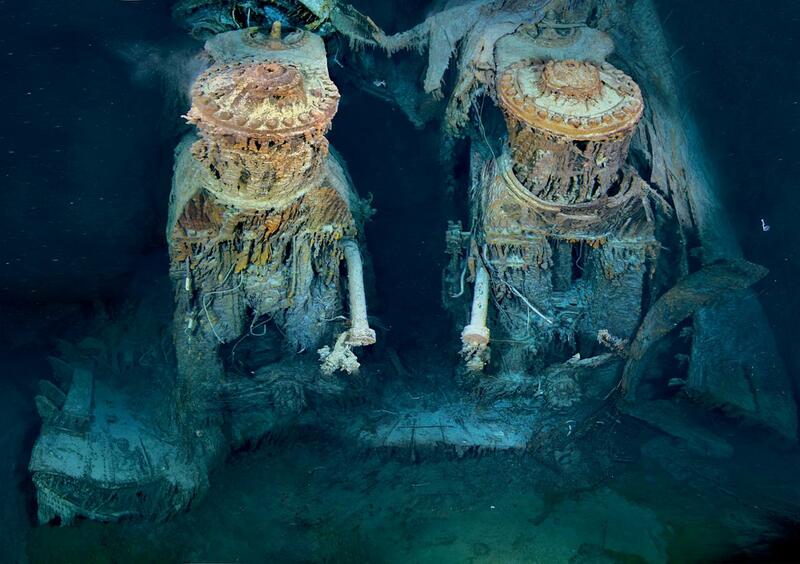 National Geographic has the first-ever complete views of the Titanic wreck. The photos are from the April 2012 edition of National Geographic magazine.